One the biggest benefits of being with a large national franchise is the vast tools that are made available to us as Associates. Unfortunately not everyone takes advantage of all the resources that are made available to them. There are countless resources in the Coldwell Banker family. One of those is the CBWorks suite of tools. www.ColdwellBankerWorks.com is the agent’s portal to access these tools. It’s a online resource for our Associates. In this case, I’m going to cover the top ten resources that I think are valuable to the Coldwell Banker Agent. 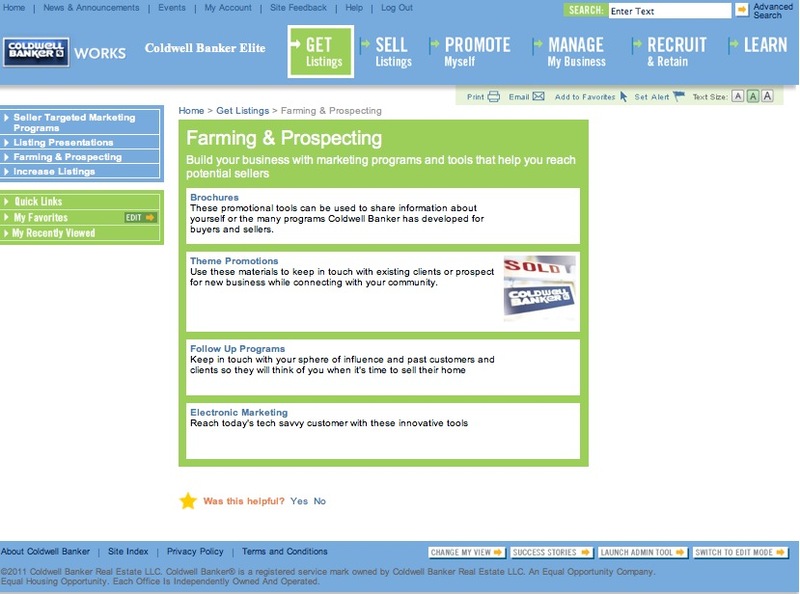 The CBWorks Farming Tool kit is a collection of marketing templates, ideas and programs to help you find more clients. One of the biggest barriers to most agents developing a solid business and marketing plan is the lack of a template or model. 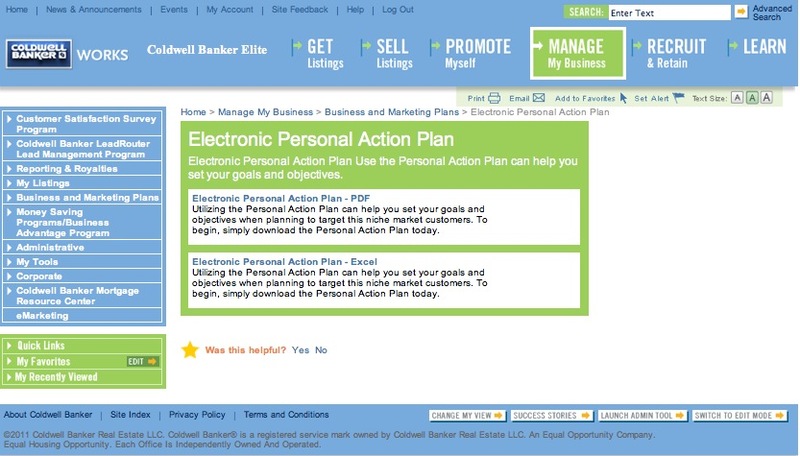 The Coldwell Banker Personal Action Plan is a template for building your own plan for success. There are various tools on CBWorks to help create your business plan. This is a great place to start. 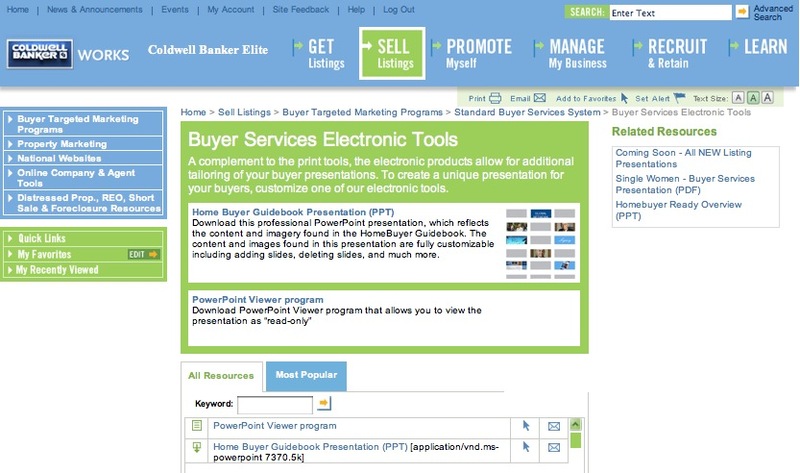 The Buyer Presentation page is collection of tools to help present your services and resources to your buyers. The presentation is complete with a PowerPoint file for you to use. 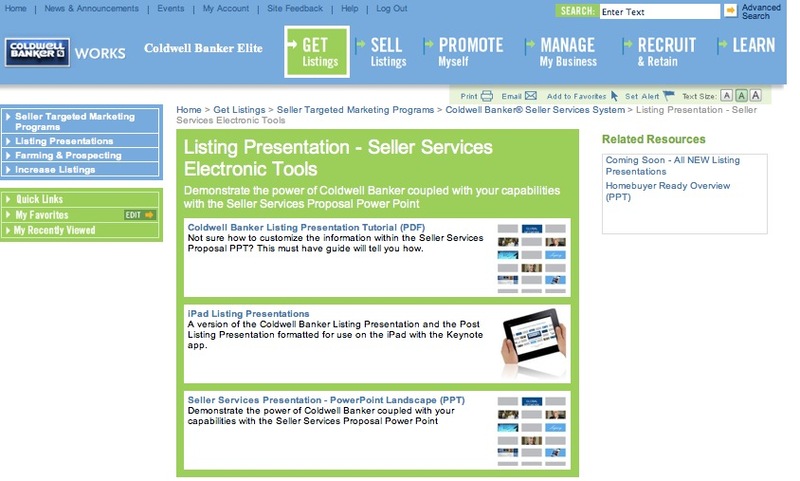 The Coldwell Banker Listing presentation for both PowerPoint and the iPad is a great tool in your toolbelt. With a very visual consumer, these modifiable presentations will keep you on track and allow you to personalize the presentation for your Brokerage and and your client. Every agent seems to get stumped at some point on creating the perfect ad layout. Don’t worry, Coldwell Banker has the hook-up. 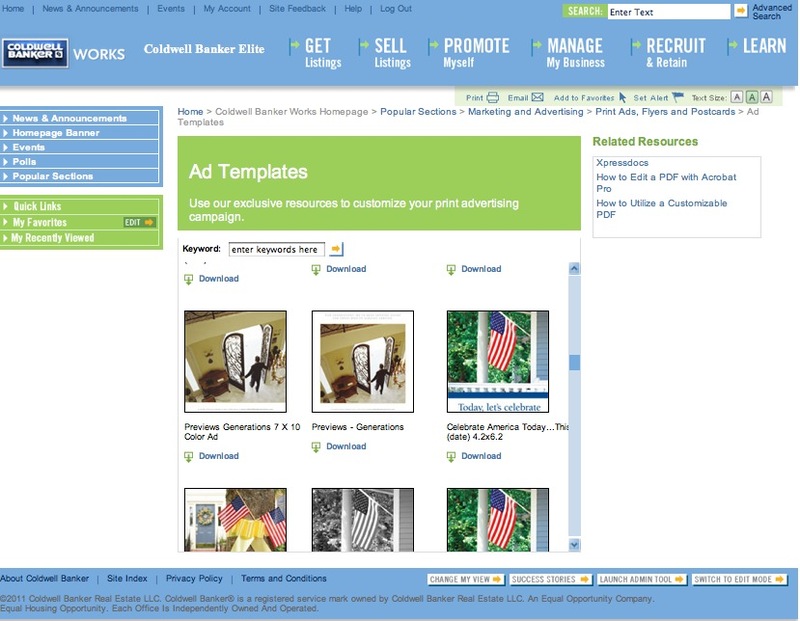 The Ad Templates give you various options for various topics. Agent Profiles are a great tool for getting found. 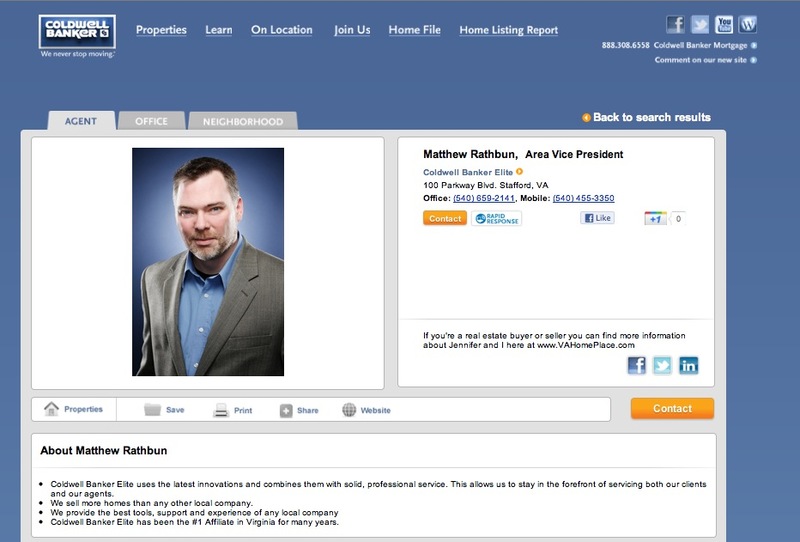 Agent Profiles are your listings on ColdwellBanker.com. You have a great deal of control in the content of the site. Add Google’s ranking of ColdwellBanker.com and you’ve got a great tool to come up in the search indexes. Have you ever needed a particular graphic for an ad, homebook cover or even a blog post? Look no further. 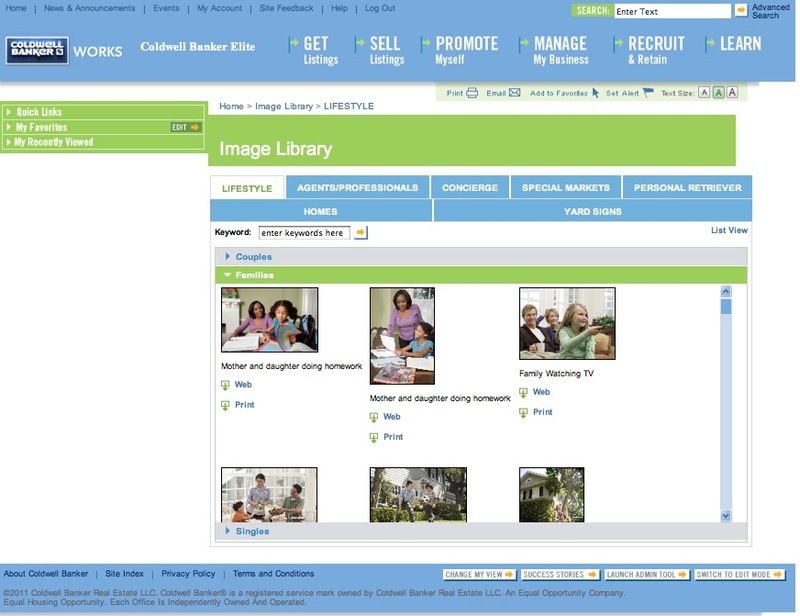 The Image Library has countless real estate related royalty-free graphics and pictures for you to use. Staying in touch and in a meaningful way, is a necessity in this day and age of marketing. 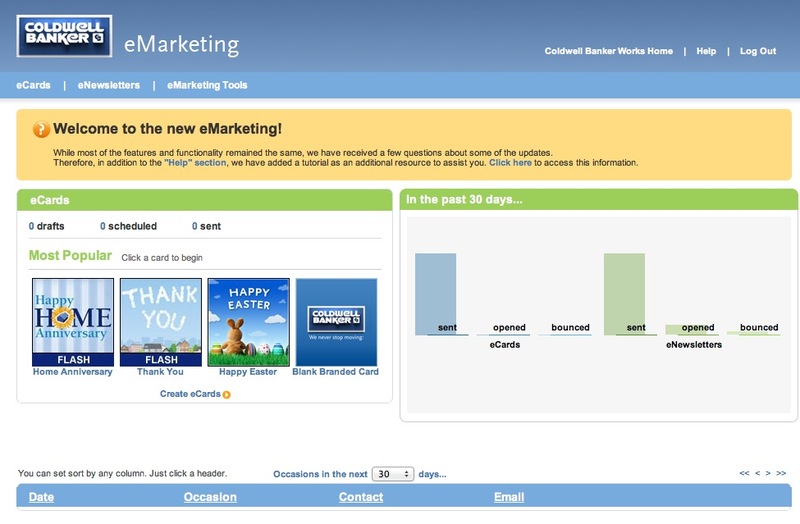 The extensive eMarketing toolkit is a brillant and free set of email templates and newsletters that you can use to reach out to your contact lists. They couldn’t have made this tool any easier to use. You can import all of your contacts and setup schedules based on birthdays, anniversary’s etc. Check it out, you’ll be impressed! 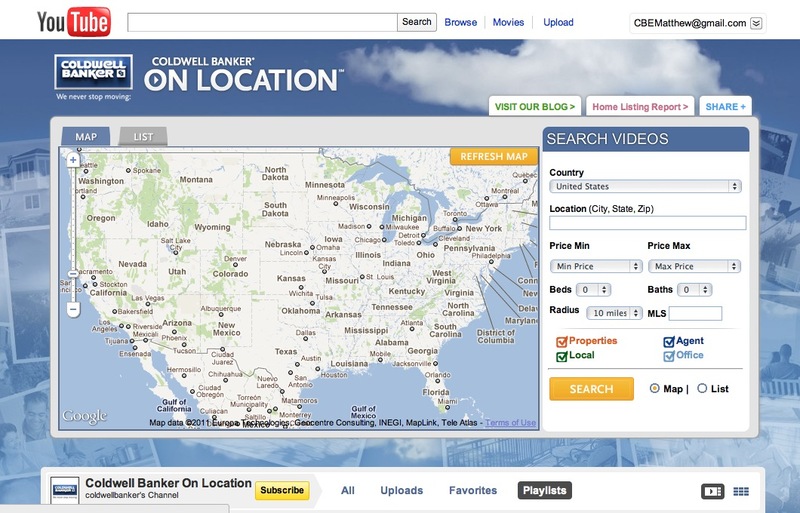 One of the first tools that caught my eye when I came to Coldwell Banker was the OnLocation tool. OnLocation is a Franchise Channel on YouTube.com. This has been a fantastic tool for agents to get their listing videos, neighborhood videos and personal introduction videos circulated online. 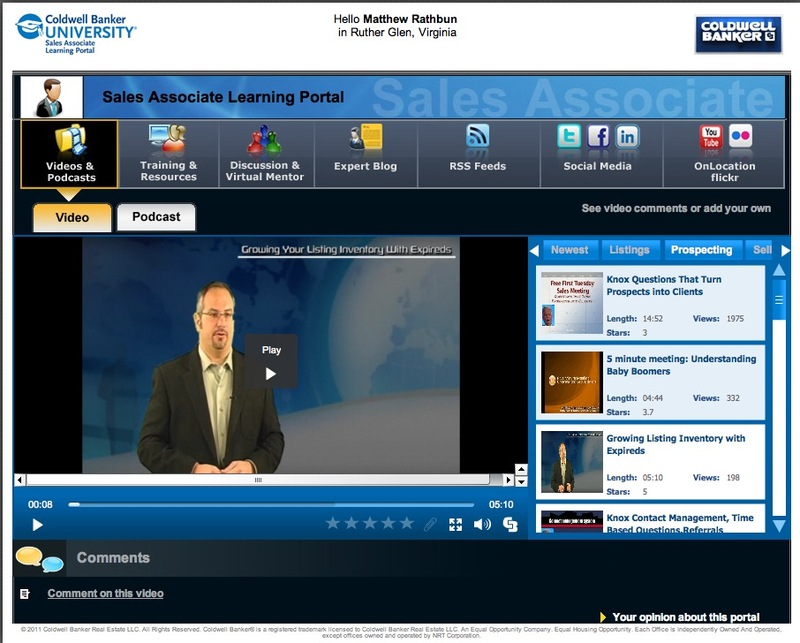 The Coldwell Banker Learning Portal is full of information and “right-now” training. Countless Videos from agents just like you and from professional instructors will help you with everything from traditional prospecting to how to best use your iPad. The Sales Agent blog will get keep you up-to-date. You’ll also find the library of Real Estate related websites useful and a great portal for online designations and business development classes.